Dr. Andrew J. DiNardo joined the staff of First Presbyterian Church in 2003. Having served for five years as an Assistant Pastor, he became Senior Pastor in 2008. Drew has been in vocational ministry since 1991. He is a graduate of Philadelphia Biblical University with a B.S. in Bible, a M.S. in Christian Counseling, and a Master of Divinity from Biblical Theological Seminary. He received his D.Min. from Ligonier Academy in Biblical and Theological Studies. Drew and his wife, Kristie, have four daughters: Sophia, Gabrielle (married to Tarik Harb), Rebecca, and Andreya. John Moore studied trumpet at Temple University. He completed both his undergraduate and graduate degrees in trumpet at the University of Miami. While living in Philadelphia, John played assistant 1st and 3rd trumpet with the Philly Pops Orchestra, extra trumpet with the Philadelphia Orchestra, and principal trumpet with the Pottstown Symphony, and Musica Sacra Chamber Orchestra. John also was a founding member of the Westminster Brass. John moved to Venezuela in 1982 and played principal trumpet in the National Symphony of Venezuela, Maracaibo, Venezuela, and in 1984, moved to Hollywood, Florida, where he played principal trumpet with the Miami Symphony, South Florida Symphony, Palm Beach Symphony, and the Miami City Ballet. In 1991, John became Minister of Music at St. Andrews Presbyterian Church in Hollywood, Florida. After serving there for two years, he moved to Colorado Springs, Colorado, to serve as Director of Music and the Arts at Village Seven Presbyterian Church. John’s busy schedule at Village Seven still allowed him opportunity to play principal trumpet in the Pueblo Symphony and to be a member of the Denver Brass. In 1994, John answered a call from the session of St. Andrews Presbyterian Church to return as Minister of Music and full-time assistant to the pastor. He served in that capacity until 2008 and earned a Masters of Divinity degree from Knox Theological Seminary in 2006. He was called to be Minister of Music at First Presbyterian Church, Coral Springs, Florida, in 2008, where he was ordained as assistant pastor in 2013. John is married to Jacqueline Moore, and they both are the proud parents of four girls: Kristin, Kimberly, Katherine, and Hannelore, and one boy, John Gregory. They are also proud grandparents of eight grandchildren. Born in Guatemala, Pablo came to the United States in 1985, at the age of 13. While playing football for Miami High, Pablo accepted Christ under the ministry of Bill Iverson, then pastor of Shenandoah Presbyterian Church (PCA). Pablo moved to Broward County, where he attended St. Andrews Presbyterian Church (PCA), then moved west to Christ Covenant Church (PCA) and while there, felt a call to the ministry. He began attending classes at LAMP (Leadership and Ministry Preparation), an MNA alternative to classical seminary study, which offered flexible scheduling of theological training to men working at full-time jobs. Augmenting his theological training at RTS (Reformed Theological Seminary), Pablo completed his studies and was ordained in the South Florida Presbytery in 2006. In July of 2011, Pastor Pablo was called to our Hispanic ministry at FPC. Ministering to the hundreds of non-English speaking visitors who are part of our ESL ministry, Pablo will conduct services in Spanish, as more and more Hispanic people become members of FPC. Pablo, and his wife, Sheri, have four children: Sasha, Daniela, Jacob, and Zachary. We praise God for Pablo, and look forward to ministering to our Hispanic neighbors and friends. Jason is a South Florida native. Born in Miami, FL he's lived most of his life in Coral Springs. After graduating from Florida Atlantic University in 2008 with a B.A. in Political Science, he attended Knox Theological Seminary in Ft. Lauderdale, where he graduated with a Master’s of Divinity degree in 2011. After becoming members of First Presbyterian Church in 2010, Jason and his wife, Michelle, began serving part-time with the middle school youth ministry. Since then he has also served as a Bible teacher at Coral Springs Christian Academy. 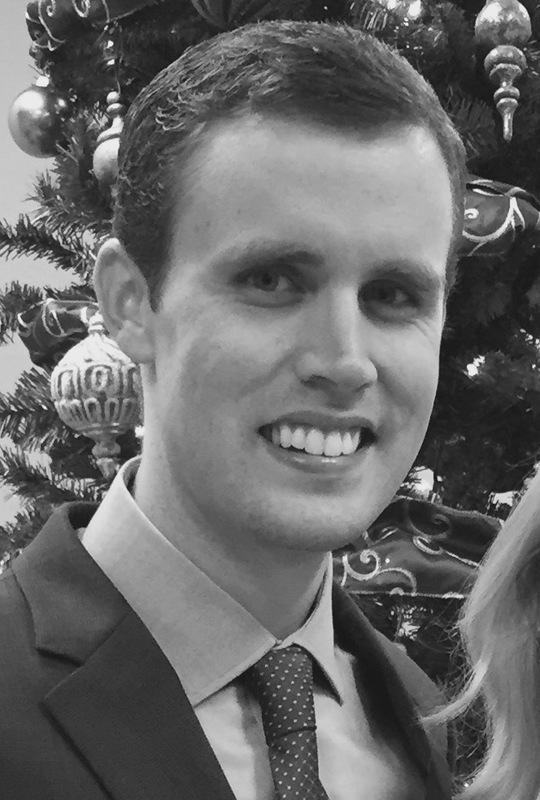 In 2014, he came on staff full time at First Presbyterian Church as the director of high school student ministry. Following his ordination into the PCA, he accepted a call to become the Assistant Pastor of Youth & Family of FPC in 2015. Jason and his wife, Michelle, have four children: Carter, Carsyn, Chandler, and Cameron.